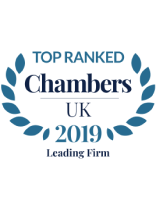 Community Protection Notices (CPNs) are currently attracting a lot of attention from the legal community, and we have many concerns surrounding the way in which they are presently being used. The defendant submitted at trial that there was no case for him to answer on the alleged breach because the CPN included requirements that were unreasonably wide – in the sense that they were neither necessary nor proportionate in terms of the risk posed by the defendant. . And claimed as a result, the CPN was invalid and could not be enforced against him. The District Judge however rejected this as she said it was not for her to consider the validity or otherwise of the CPN, and any argument relating to its invalidity could and should have been raised by way of an appeal against the CPN. So the trial continued and the judge found the breaches established on the evidence, and the defendant was convicted. The central issue raised on this appeal was whether – in the case of a prosecution for breach of a CPN, it is open to a defendant to argue by way of defence that the CPN was and is invalid? “Of course, if the CPN remains as it is, and if the defendant is again prosecuted for breach, he will not be able to raise the argument he has raised before District Judge Toms and us by way of defence at trial. However, we make clear that, the failure of this appeal does not mean that the defendant is fixed with the CPN in its current form for evermore. If he has concerns about the scope of the CPN or its indeterminate nature, he should raise them with the Thames Valley Police and seek a variation of the CPN. If they wrongly refuse to vary, judicial review will be available. CPNs constitute a significant interference with an individual’s freedom; they must be clear in their terms and proportionate in their effect. 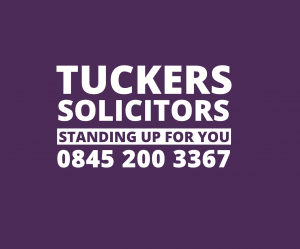 To discuss anything to do with community protection notices please contact us on 020 7388 8333 or email info@tuckerssolicitors.com and we will gladly assist.